A U.S. or foreign employer may file an L-1 visa petition to temporarily transfer a foreign employee to the U.S. from one of its operations outside the country. The employer must prove that a qualifying relationship exists between the foreign employer and the U.S. company at the time they file their petition by showing that either the two companies are the same employer or the companies are related as a parent, subsidiary, or affiliate company. To determine if a qualifying relationship exists, USCIS officers examine ownership and control of the respective entities. In some cases, a petitioner may seek to establish control based on the use of proxy votes. 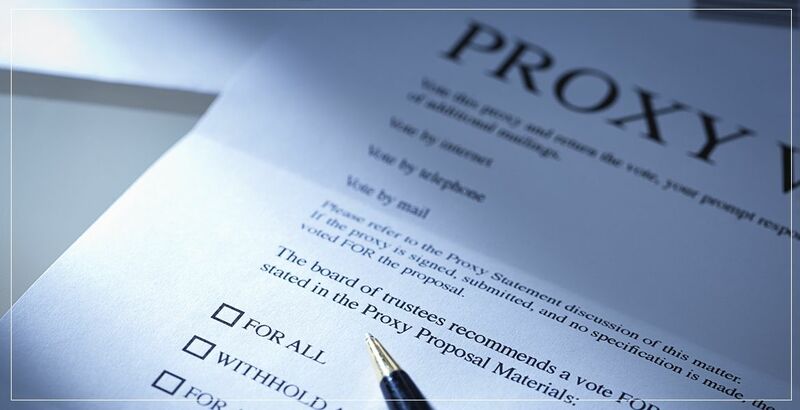 Proxy votes are obtained when one or more equity holders irrevocably grant the ability to vote their equity to another equity holder, thereby effectively and legally giving the other equity holder “control” over the company or companies in question. The new policy memorandum clarifies that when proxy votes are a determining factor in establishing control, the petitioner must now show the proxy votes are irrevocable from the time of filing through the time USCIS adjudicates the petition, along with evidence the relationship will continue during the approval period requested. Previous guidance did not address whether proxy votes must be irrevocable to establish control. This policy update does not change the requirement for petitioners to file an amended petition when the ownership or control of the organization changes after its original L-1 petition was approved. Amended petitions must also comply with the clarified guidance regarding irrevocable proxy votes. Interim and final policy memos are official USCIS policy documents and go into effect on the date the memos are issued. Ensuring the integrity of guest worker programs is consistent with the Buy American, Hire American initiatives.